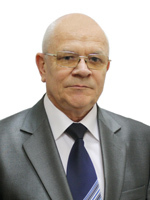 Doctor of Engineering Sciences, Full Professor, Head of Department of automation computer systems, National Mining University. Copyright © 2019 Гірнича електромеханіка та автоматика. All Rights Reserved.